In this fantastic SNES classic you take the role of a young boy who accidentally pulls the magical Sword of Mana from a stone unleashing evil across the land and it's up to you to re-energize the sword and seal the evil away once more! The story has alot of twists and turns, but is fairly predictable. The gameplay is quite unique with real-time combat and the charge attacks that vary between weapons, characters, and how much of your charge gauge that you use. Another interesting feature is that there are over a dozen different weapons to collect and each one can be upgraded to more powerful forms with some being short ranged and others having a long-range of attack! 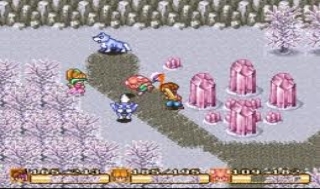 The game also features a magic system that is bound to summon spirits that you can find at various dungeons throughout the game, though the main character can't use magic his melee damage is greater than the other characters. The difficulty of the game steadily gets more difficult, but there are a few cases where the difficulty suddenly spikes, but grinding a few levels will usually solve this problem. The dungeon and map designs are clever albeit fairly simplistic at least early on in the game, but improves later in the game! The game is quite lengthy as well as it will likely take newcomers well over 30 hours to beat "even longer to complete 100%"! The controls are very simple and easy to learn in the game, but the Classic Controller Pro is the best choice for the game as the overall feel is better and the analog sticks aren't prone to breaking or sticking with the Pro model! 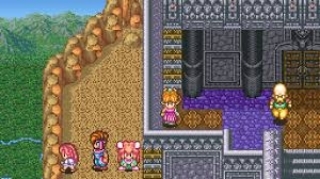 The graphics in Secret of Mana are quite nice and have decent textures and sprites, but the character models are rather grainy and haven't aged well. The cut-scenes also have aged poorly and could look better, but overall it does not look horrible, just not as good as it could look. The music on the other hand is quite enjoyable and has a wide variety of tracks some of which are quite catchy. The in-game sound effects are typical SNES fare, overall the soundtrack and sound effects are superb in this game! 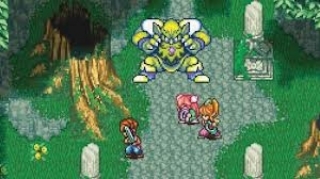 With an amazing story and great gameplay Secret of Mana is an excellent JRPG to add to your VC collection, and it's amazing soundtrack will have you humming the tunes! The only negative is that the graphics have not aged as well as they have in other SNES JRPG's, but that's just a minor complaint. Overall we highly recommend this game to any retro RPG fan! 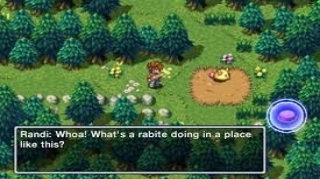 Secret of Mana is such a fun RPG. Why is square enix becoming a mobile games developer? This game is the best one of the entire series hands-down. Thanks for the comments you guys! I love this game! Nice review @Rukiafan. I agree with this comment. @GamerZack7 what happened? This is my favourite game in the Mana series lol. Secret of Mana is a good game. So good review.